Durable and timeless, the Davinwood end table with square wood top is a versatile piece that suits many styles. Add a reliable surface for all your necessities such as drinks, remotes, magazines, and devices with this side table. The double square sled base creates a sturdy cross-frame and features a unique crackled finish, adding stability and style. 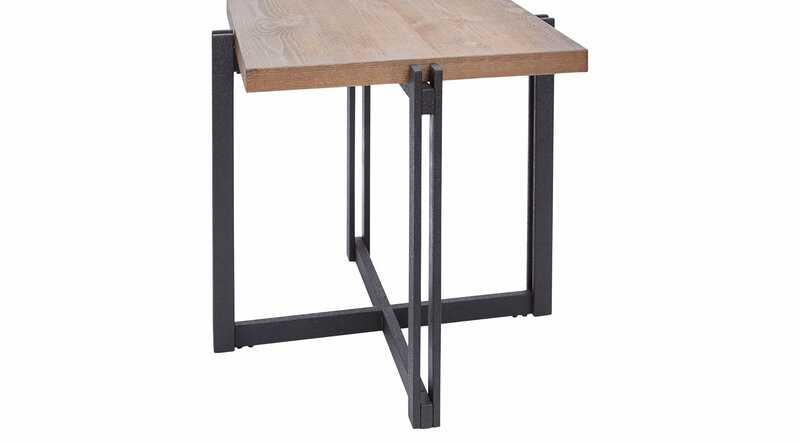 Pine wood veneer with a natural wood grain texture gives this item rustic flair, which adds mixed material appeal when combined with the distinctly industrial, modern metal base.